Batman 75th Anniversary - Takashimaya Square Taken Over By A Gotham City Cosplay Battle! Earlier today at Takashimaya Square, a superhero battle of a different sort took place. There was also a replica of the 1989 Batmobile on display beside the stage, which captured a lot of admiration from Batman fans - young and old alike. Red Dot Diva was at the cosplay event to give moral support to a couple of friends who were participating in the competition. @Sarahcoldheart was there as the current version of Batgirl, and Raymond Xperia Chan was all suited up as Batman. 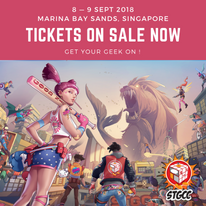 Just before the event kicked off, she bumped into fellow geek blogger, action figure customizer and ardent DC comics supporter Jedd Jong. As expected, he had brought his customized action figures with him. Very promptly at 1 PM, the event host Juliana came on stage to introduce the judges for the competition. They were Wallace Tay from Pacific Licensing Studios, Bernard Ang from GnB Comics, and Reno Tan from Movie Mania. After which, the cosplay contestants were introduced on stage, one after the other. Unfortunately, Red Dot Diva cannot remember all of the cosplayer names (sorry!) but there were a few who really stood out. The first few contestants were hamming it up with their stage presence, especially Scarecrow. His costume wasn't much but he was going around spreading his fear toxin via aerosol spray can. Pzzt psszzt. Red Dot Diva thought he was hilarious. Then, there was a really good and pretty rare cosplay of a Stephanie Brown version of Robin. Female represent, YEAH! Red Dot Diva learnt that the cosplayer was from Hong Kong and she came all the way to Red Dot Island for the competition! WOW. Talk about dedication! One of Red Dot Diva's favourite was what she calls Harvey Quinn -- or genderbend Harley Quinn. For one thing, there were BICEPS, yo! And also, Harvey Quinn certainly had a lot of bad boy stage presence. The other two who did their poses well were young, svelte Nightwing and hunky Red Hood. @Sarahcoldheart was cute as ever being Batgirl. She was the one of the most resonant and energetic on stage. And that's even after taking into consideration that prior to the cosplay contest, she ran for the 10km Standard Chartered Marathon bright and early in the morning! As for the two Batman cosplays, Red Dot Diva liked both Jacen's and Raymond's versions. She can't decide which! The judges were not the only ones deciding on the Top 3 winners. The audience had a chance to cast their votes on site as well. After a few minutes tabulating the results, the final 3 were Batman (Jacen Khoo), Red Hood and Steph Robin!! Congratulations! Even for those who did not win, they looked like they were having fun. Which was what geeky cosplay is all about, isn't it? Just when one thinks it's safe after the cosplay competition had officially ended, there was more mayhem to be seen. Out of nowhere, Nurse Joker appeared. After making a very tentative truce with Batman, they posed for a photo op. Good thing, the Bat Family were all there to save the day! Even the Baby ones! By the way, special mention to Victoria, who was in a really pretty Batgirl (animated cartoon version) costume but decided not to participate because of minor "wardrobe malfunction". Still, she attracted a lot of attention with her unusual costume. That was because many were unfamiliar with this particular version of Batgirl, and a few even called her BatMummy. Yes. You heard it right. BAT MUMMY. Is anyone going to do an Egyptian alternate universe for Batgirl yet? Soon, everyone had kind of dispersed in their own groups or gone off to remove their costumes. But... there was still one more thing Red Dot Diva wanted to do before she headed home. A Batman and Catwoman "Meet and Greet" was scheduled to take place at the same stage at 4 PM. That was still 1.5 hours away. So, after wandering around Takashimaya shopping for Christmas trimmings and much needed sustenance, Red Dot Diva returned to stage side to get a good vantage point. There was a long line of excited children waiting for the appearance, and soon all the available floor space in front of the stage were taken up by a sea of eager faces. When showtime was up, Catwoman was the first to appear. She slinked across the stage, cracking her leather whip to very good effect. Red Dot Diva thought a few grown men possibly purred at the sight of her too. Tall and buff Batman then joined her on stage. He was a uber-friendly kind of Batman, waving to the kids and crowd. There was a chance to take photos (no selfies though!) with the two characters, so Red Dot Diva practically dived into the queue. From what she saw, she was the only non-parent in line for photos. Hahaha. Not shy, lor. 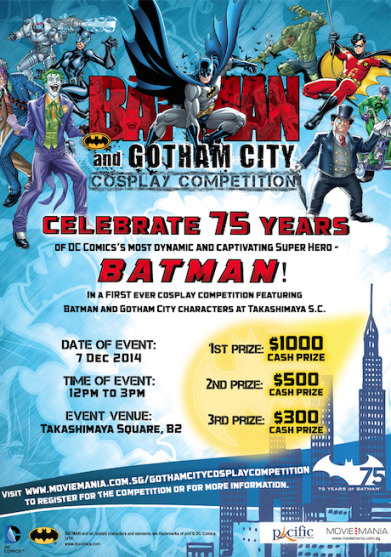 Batman 75th Anniversary: Suit Up for the Batman and Gotham City Cosplay Competition! 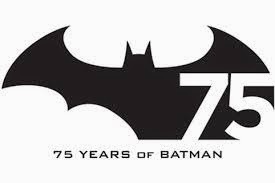 2014 has been a year-long celebration for Batman's 75th Anniversary, with fans of the Dark Knight and the general public enjoying a list of geeky activities coordinated by Pacific Licensing Studio (PLS) together with Warner Bros. Consumer Products (WBCP) and DC Entertainment. 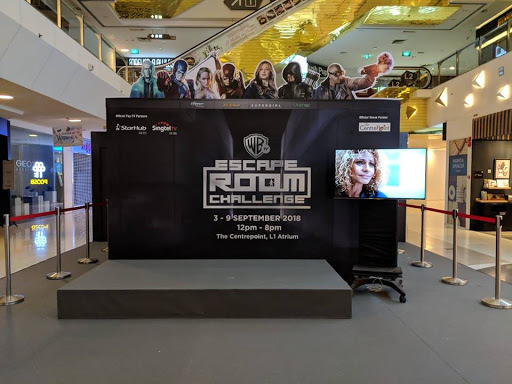 Some of these events include a DC Superheroes stamp and memorabilia exhibition at the Singapore Philatelic Museum (the first in Asia), the broadcast of animated series "Beware the Batman" on Toonami (StarHub Channel 315), Sentosa cable cars decorated with DC comic superhero flair, special postage stamp releases by SingPost, and exclusive Batman75 apparel and other collectibles at the DC Stores. 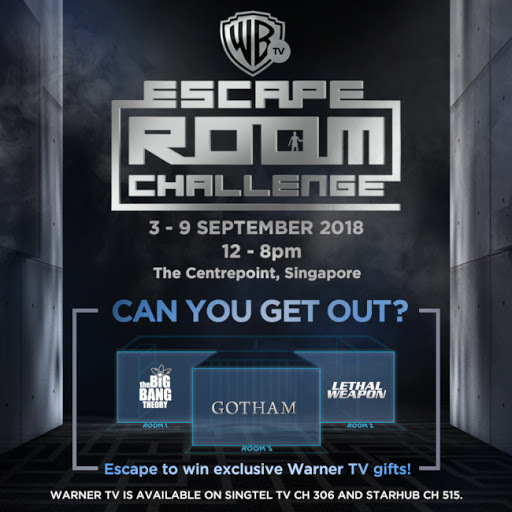 To wrap up the birthday bash, PLS is working with Movie Mania to host a Batman and Gotham City Cosplay Competition which will be held at Takashimaya Square (B2), 12:30 PM to 3 PM on 7th December (Sunday)! The networks in the USA announced their TV schedule for this Fall recently. Being a TV series-loving fiend, Red Dot Diva followed the news with much interest. Last year, the lineup was about monsters - the werewolves, vampires, zombies and terrifying serial killers. This year, the world of comics and superheroes seems set to overtake the primetime airwaves. Following the box office success of Marvel's superhero movies, like "Captain America: The Winter Soldier" and "X-Men: Days of Future Past", it seems that fans can't get enough of their favourite comic book characters coming to life on screen. But while Marvel is currently ruling the movie box office, DC Comics is determined to stand its ground in the TV series landscape. Red Dot Diva polled a small number of her readers online on which new fall TV series they were looking forward to most. Out of a total of 31 respondents, shows based on superheroes were in the top 3 picks.